Designing and printing brochures is a difficult business, due to the fact that no one makes a brochure for the fun of it. Brochures are made for business and educational reasons, and they are designed to promote business and educational purposes across board. The look and feel of a brochure is a serious one, and the written content is mostly professional and business-like for serious readers. The quality of a brochure can therefore make or mar a business or educational intention, and this emphasizes why creating and printing of brochures is largely a security and professional business. In line with this, we are here to provide outstanding designing and printing brochure jobs in order to satisfy your specific necessities: may it be for your companies, products, or educational systems. 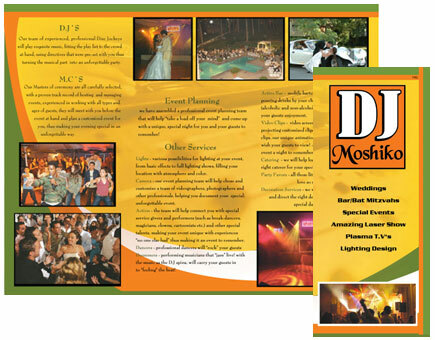 Located in Reseda, California, we are better poised to satisfy your professional brochure production necessities. All throughout California, our knowledge and working experience in producing brochures and some other security documents remain unmatched because we are pro document designers and printers. We offer brochure design in Reseda CA, and as one of the best out there, we take it upon ourselves to deliver quality jobs that exceed your expectations in all areas. As low-cost and affordable brochure designers in Reseda CA, we are devoted to producing top brochure designs and productions that will always beat the competition. Call our local office in the neighborhood to see our skills with brochure designs and productions or better yet, check out our web page gallery. We are confident enough to provide the business or educational brochures that you want regardless of the sizes, colors, themes, paper quality, and numbers without putting your objectives in danger. One you contact us, we will surely have a business work with you. Our brochures printing services in Reseda CA is created and suited to meet your objectives, and when you think about the number of successful companies and business interests we have worked for and the success of their brochures, you will be happy to give your brochure production issues to us. It is our delight to entertain you for your brochure needs for educational and professional reasons given that Brochures printing in Reseda CA is what we love to do. If your concern is top quality and inexpensive brochure design and production services, then we are the great brochure printers in Reseda CA you must talk to. Employ us right now for top quality and cheap brochure production and we'd be happy to be of immense assistance. Nobody designs a brochure for enjoyment since designing and printing brochures is a difficult business. 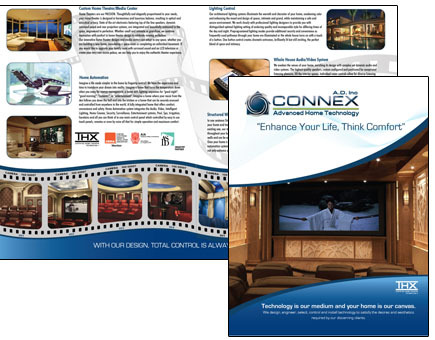 Brochures are created for business and educational purposes, and they are designed to showcase business and educational purposes across board. 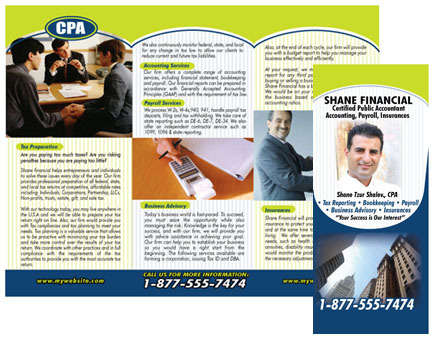 A brochure must have a serious theme and look and the content must be fit for pro and business-oriented readers around. The quality of a brochure can hence make or mar a business or educational intention, and this underscores why developing and printing of brochures is basically a security and professional business. In line with this, we are here to offer excellent designing and printing brochure jobs as a way to fulfill your specific needs: may it be for your businesses, products, or educational systems. We are excellent in meeting your professional brochure production needs and we're situated in Arbuckle, California. We are specialist document designers and printers, and our skills and experience at making brochures among other security documents is incomparable throughout California. 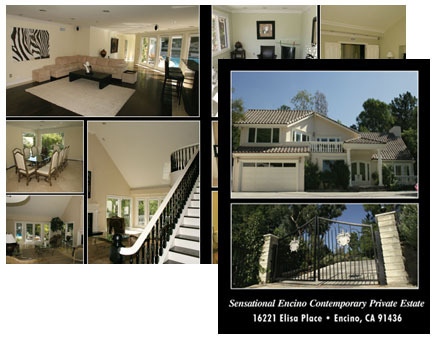 Good quality jobs are what we give in terms of brochure design in Encino CA. As low-cost and affordable brochure designers in Encino CA, we are devoted to producing top brochure designs and productions that will always beat the competition. Why don't you browse our web site gallery or better still, contact at our local office in the neighborhood to see our expertise with brochure designs and productions. No matter what sizes, colors, themes, paper quality, and numbers, we are able to provide you with the amount of business or educational brochures that get your work completed without compromising your objectives in any way. One you get in touch, we will surely have a business deal with you. Our brochures printing services in Encino CA is made and suited to meet your targets, and when you consider the number of successful corporations and business interests we have worked for and the success of their brochures, you will be pleased to entrust your brochure production worries to us. It is our pleasure to entertain you for your brochure requirements for educational and professional reasons because Brochures printing in Encino CA is what we love to do. If your dilemma is high quality and cost-effective brochure design and production services, then we are the excellent brochure printers in Encino CA you must talk to. Employ us today for top quality and low-cost brochure production and we'd be glad to be of immense help. No one designs a brochure for enjoyment since designing and printing brochures is a serious business. Brochures are created for business and educational purposes, and they are made to showcase business and educational purposes across board. A brochure should have a serious theme and look and the content must be fit for pro and business-oriented readers around. The quality of a brochure can hence make or mar a business or educational intention, and this emphasizes why designing and printing of brochures is largely a security and professional business. In line with this, we are here to offer superb designing and printing brochure jobs in order to fulfill your specific needs: may it be for your companies, products, or educational systems. Situated in Woodland hills, California, we are better poised to satisfy your professional brochure production requirements. All throughout California, our know-how and working experience in creating brochures and a few other security documents remain unparalleled since we are professional document designers and printers. Good quality jobs are what we give in terms of brochure design in Woodland hills CA. As inexpensive and affordable brochure designers in Woodland hills CA, we are dedicated to creating top brochure designs and productions that will always beat the competition. Call our local office in the town to check out our competence with brochure designs and productions or better yet, visit our website gallery. Regardless of the sizes, colors, themes, paper quality, and numbers, we're able to provide you with the amount of business or educational brochures that get your work done without compromising your objectives in any way. We are available to taking on your business if you would call us right away. 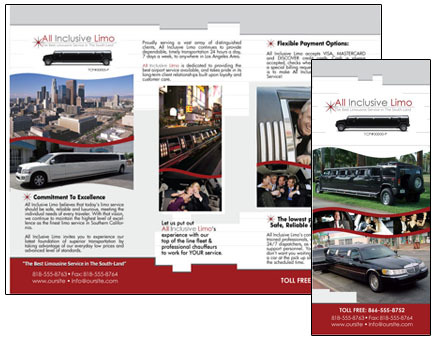 Our brochures printing services in Woodland hills CA is created and suited to meet your objectives, and when you think about the number of successful corporations and business interests we have worked for and the success of their brochures, you will be happy to hand over your brochure production concerns to us. It is our pleasure to amuse you for your brochure requirements for educational and professional purposes since Brochures printing in Woodland hills CA is what we like to do. We are brochure printers in Woodland hills CA with a difference, and you stand to experience the best of business expertise when you also value quality and economical brochure design and production services. Enjoy our good quality and affordable services in brochure production by employing us right away.